The latest one from Nextbase’s portable DVD player range is the Nextbase Click 10. It has three distinct features that set it apart from other similar products. 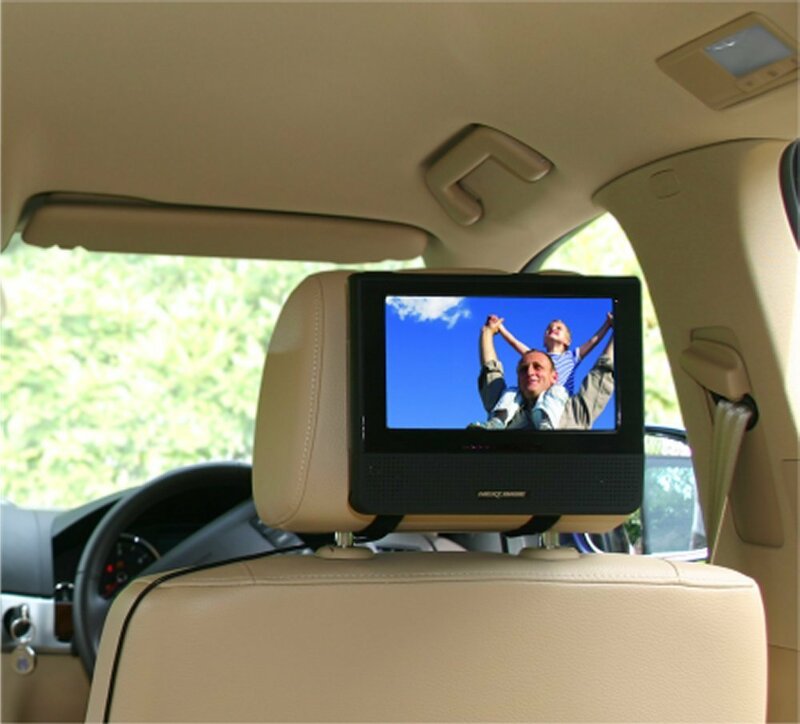 Up until now, all portable DVD players implemented the basic headrest mount. These were unsafe during a crash as they tend to come loose and potentially injure the onlooker. 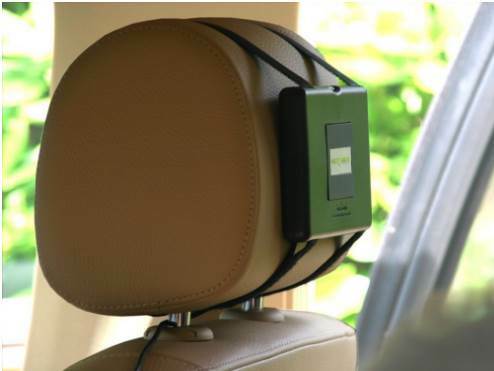 However, with the Nextbase Click & go, the headrest mount is crash safe, passing even the European Crash Test standards. It implements special metal insertions and a neat locking system in its design to ensure you and your family is safe from loose devices even during a crash. Other in-Car DVD players needed mounting at the back of the headrest, the power cable plugged at the side area. This was difficult to manage, looked untidy and even unsafe for the children. Whereas the Click 10 player simply slides inside the mount firmly attached to the headrest. It clicks in place and the media starts automatically. The cigarette lighter cable goes directly into the headrest mount as the power source and left in place once plugged in. So the whole thing is much tidier and safer. Other features of the Nextbase Click 10 are as follows. -LED (Light Emitting Diodes) technology for backlighting, providing better brightness, contrast & picture clarity while consuming lesser power than other make & models. -Multi-region, multi-format DVD player. It will support media & films regardless of the country where it is purchased. Supports DVD, DVD±R/RW, CD, CD-R/RW and DVD Videos (MPEG-1, MPEG-2); Audio CDs, MP3; also JPEG images. So this is the only device you have to use as your video player, music player, and photo album. -It has the standard anti-skip circuitry inbuilt, which ensures a smooth playback even on the roughest roads. 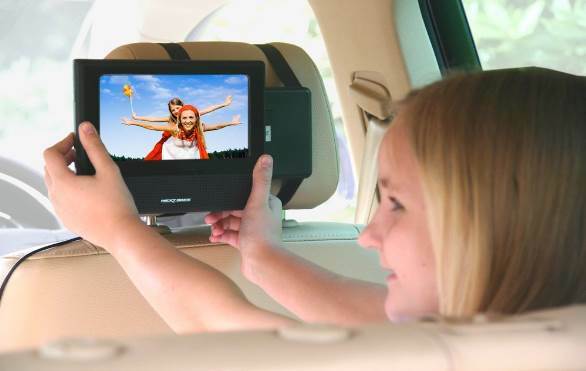 -The 10” widescreen has an extra viewing angle, perfect for multiple viewers at home or in the car.USB & SD ports at the side, so you can watch movies (DivX support), enjoy music and photos through external memory. -It has inbuilt infrared transmitters which could connect to wireless headphones. This is useful to enjoy movies or music on a journey, neat & quiet. -An inbuilt rechargeable battery can provide a 2.5-hour backup entertainment when you are traveling remotely, through air, plain or even outdoors. An external Li-Polymer battery is also available for further extended playback up to another 2.5 hours. Loaded with features both for safety & convenience, the Nextbase Click 10 portable DVD player is the perfect companion for you and your family especially on long journeys.